Using a knife or avocado tool, slice avocados in half. Reserve the pits for later. Remove the peels and place the avocado in a bowl. Mash the avocados until the consistency is smooth with just a few small lumps. Add remaining ingredients to the bowl. Gently fold all ingredients together. 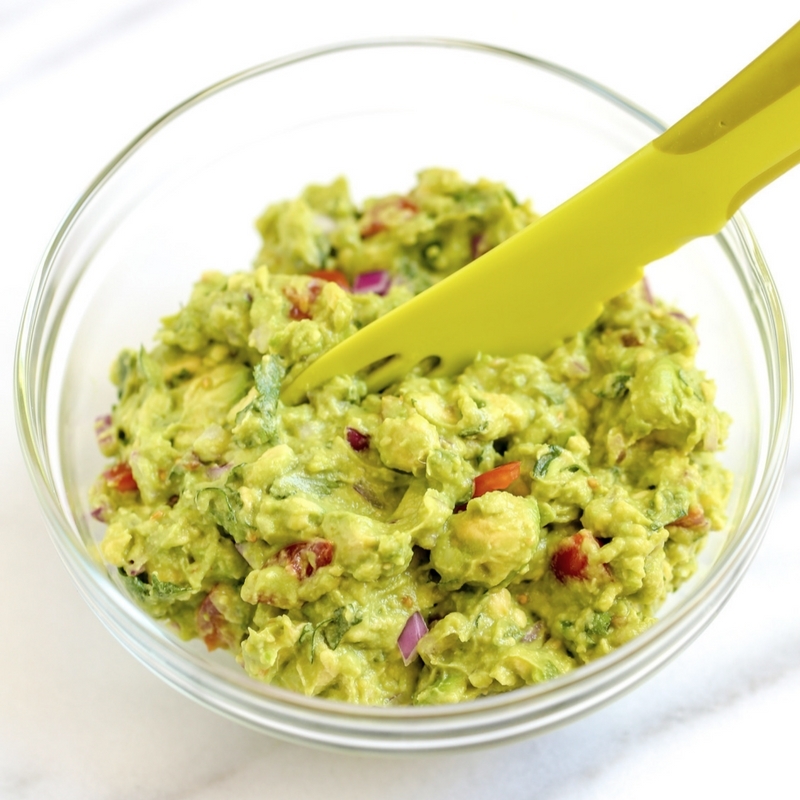 If serving guacamole as an appetizer, transfer Mexican Guacamole to a molcajete. Garnish with a few cilantro leaves on stems, or a sprinkling of Mexican Cojita Cheese. Serve guacamole with restaurant-style tortilla chips. Control the heat factor: Jalapeno chiles are milder than Serrano chiles! If your guacamole will not be enjoyed right away, add in an avocado pit or two, and squeeze a bit more lime juice on top. This will help the guacamole from turning brown.